Whatever worries you on your daily car journeys, at least it isn’t massive, speeding boulders that could crush your car like an empty can of Coke. 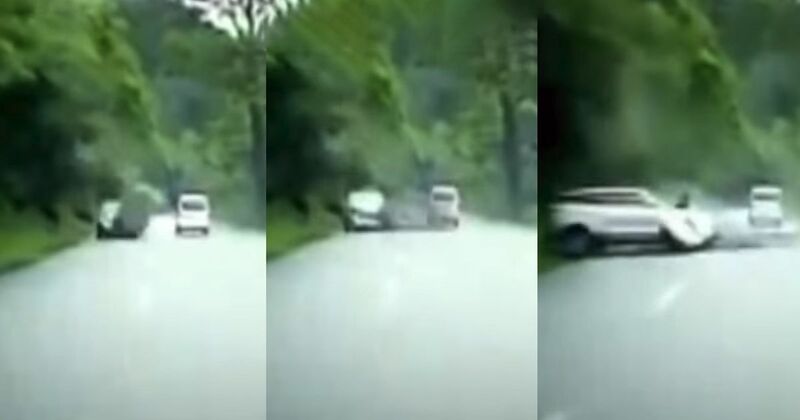 Check out this astonishing footage from a dash-cam in Bome County, Tibet. The camera car rounds a bend and catches sight of a pale SUV, possibly a Ford Ecoboost. A moment later, out of the trees on the left of shot cannons a gigantic boulder, travelling at serious speed as it catches the front corner of the car, basically obliterating it. It hits the road with such force that it bounces up and onwards into a stout-looking tree, which it absolutely shatters into splinters. Terrifyingly, as the car lies stricken and helpless, with its occupants presumably fearing for their lives, another huge rock comes tumbling down out of the trees further along the road. We don’t know about you, but we’d be getting out of the area any way we could. Quickly. Apparently the car has been sent for repairs. They’d better have a really, really big polisher if they want to buff that out.